Kirton: Could China Lead the G20 in Combating Non-communicable Diseases? Could China Lead the G20 in Combating Non-communicable Diseases? Addressing HIV/AIDS, tuberculosis and malaria has long been a priority for the G7 summit since it started working on health in the 1980s. It will continue to be a priority for some time. The G7 is working in support of the United Nations 2030 Agenda to meet the third Sustainable Development Goal (SDG) aimed at ending these three deadly infectious diseases 14 years from now. Many G7 members are leading here. Italy did so when it hosted the G7 summit in Genoa in 2001, where the G7 launched the Global Fund against HIV/AIDS, Tuberculosis and Malaria. Italy will work to advance the health-related SDGs and development in Africa when it hosts the next G7 summit in Taormina, Sicily, in May 2017. Canada long ago acted to make antiretroviral medicines affordable to the many Africans afflicted by HIV/AIDS. It hosted the Global Fund replenishment conference in Montreal right after the G20 summit in Hangzhou in September 2016. The Hangzhou Summit also gave strong support to the SDGs. It took up two pressing issues in global health: strengthening the global health architecture and combating antimicrobial resistance. But the G20 led by China could make its strongest contribution on another critical component of SDG 3 — combating the four big non-communicable diseases (NCDs) of heart and stroke, cancer, diabetes and chronic respiratory disease. These diseases are the number one killers in all G20 countries other than South Africa, where HIV/AIDS still has the top spot. 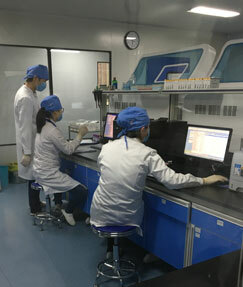 China is already a leading global platform in producing insulin, which is critical in controlling diabetes. The research centre of Sinobioway, located in Bantang in Anhui Province, is now making pioneering advances in treating cancer. 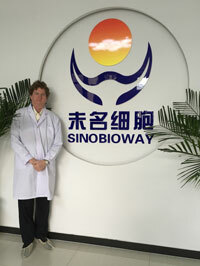 Sinobioway, a private company 40% owned by Peking University, is steadily moving to complete the clinical trials for cell therapy for blood cancers and is already serving patients from nearby Russia elsewhere. In the spirit of globalization by licensing a technology from Baylor University in the United States in the hopes of bringing highly effective, low-cost treatment to the four million Chinese citizens who diagnosed with cancer each year. With such formidable capabilities and cooperative spirit, China is well positioned to lead the G20 in adding NCDs directly to its global health agenda at the Hamburg Summit hosted by Germany on July 7-8 next year.